Uber could soon be leaving Quebec. The ride-hailing giant on Tuesday said it will exit the Canadian province on Saturday, October 14, if the Ministry of Transportation implements proposed new regulations. Uber has been operating in Quebec during the past year under a government pilot project. Last week, Quebec renewed the project for another year, but with stricter requirements. For example, the province wants drivers to complete 35 hours of training -- the same requirement its taxi drivers must undergo in Montreal. An Uber spokesman in Quebec told CNN Tech the new driver training requirement is not feasible for many of its drivers who only work for the company part time and have other jobs. As a result, there could be fewer drivers available in the region and longer wait times for customers. "The proposed rules would impose onerous training obligations developed for a different industry on ridesharing drivers, without taking into account the benefits that come with new technology such as in-app safety features, GPS tracking of every trip, a two-way rating system, and 24/7 support," Jean-Nicolas Guillemette, general manager of Uber Quebec, said in a statement. 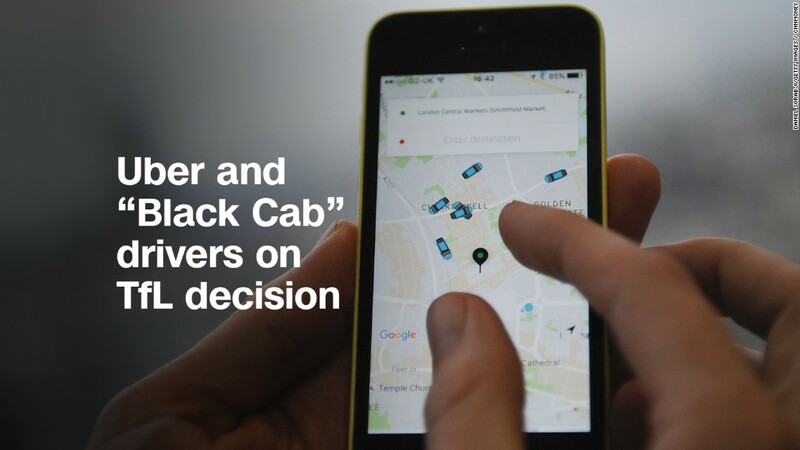 However, Uber said it's willing to work with the government on a solution. But if no compromise is met, Uber is prepared to pull out of Montreal and Quebec City. Uber has about 50 employees in the Quebec province and 10,000 drivers have worked for the company there under the pilot program. Quebec's transport ministry did not immediately respond to a request for comment. The announcement came less than a week after London's transport authority said it wouldn't renew Uber's license, calling the service not "fit and proper" to operate in the city. It cited Uber's approach to reporting serious criminal offenses and how the company used software to dodge regulators and law enforcement.